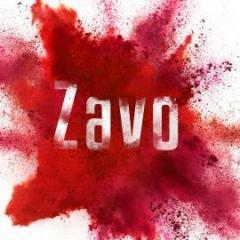 Hello everyone Zavo here again. I made a video so I wouldn't have to type a long explanation. Also a reminder I hope to start the Prank Wars on Saturday January 26th. The rules are subject to change at any time... 1. Obviously No TNT. 2. If you participate in this event, please ensure you are able to handle being pranked on. This is a two way street, prank and be pranked. 3. Fire is acceptable as Fire Spread is not on. However, high quantities of fire is annoying so try and limit fire use.. 4. No pranking people that are not participating. If you do then you will be out of the prank wars and could potentially get banned depending on what you did. 5. Griefing is accepted to a certain extent. Breaking someone's house and stealing items is not pranking so therefore is not allowed. Relocation of items is allowed however, the intent of keeping another person's items is punishable. (Some exceptions might be made depending on the prank.) 6. If you have an idea for a prank and you don’t know if it is allowed feel free to ask staff about it. 7. All pranks must be done in survival only. Some participants may not have access to creative so it would be unfair to use creative for a prank. 8. Make sure to be considerate to others. Server rules against Inappropriate, Racist, and offensive builds still apply. 9. This isn’t a major rule but we encourage you to leave a sign saying at least who did it so staff can tell the difference between a grief and a prank. You can choose to add riddles or something else if you choose to, but the rest is up to you. Last thing I want to say is if this doesn't pan out to be fun and its more of a drama starter it will be stopped and prank wars will end. Please also either direct message me on discord or comment down in the comments of the topic to "Sign up" for the prank wars to let us know you are participating. You will be added to a list. EDIT: If you could provide your base coordinates from F3 that would be greatly appreciated. (Example X:456 Y:20 Z:5665) Happy Pranking! I have gotten permission from Kat to unban you, Kat is currently very busy. Welcome back and enjoy! Congrats to everyone! Good luck! I just wanted to say, the date is wrong Sunday is the 2nd. The 3rd is Monday. The staff bust﻿ounnuez﻿ is no longer a part of the staff team. I will unban you since you have no made a ban appeal using the template. Its also been a while so I have no idea why you weren't unbanned. Unless the other staff says otherwise you are unbanned. Welcome Back! Yeah, kinda, sorta, will be more active when it resets for 1.13... Hopefully. This would be awesome, server has been lacking in the events aspect. Please follow the ban appeal template found here: Also state who banned you please. You can't leave.... who will I mess with? Will try my best, hopefully won't rollback the server a week. Name: Zack IGN: _Zavo_ Age: 15 Discord: _Zavo_ Hello there, my name is Zack and I am 15 years old. I have been on the server for well over a year now , and I am usually on for about 30-80 minutes daily. I would like to be a GIT so that I can help out others and make sure that everyone is happy and has fun on the server, as well as to interact and help new members and help them not make any mistakes. I live in a small city in Massachusetts and I am a weather fanatic. My hopes are to go to college and become a meteorologist some day. 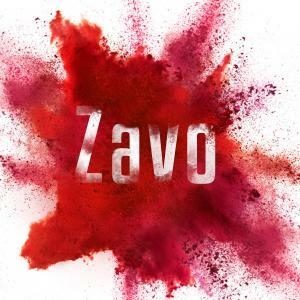 I have a discord, _Zavo_. I have some knowledge of some plugins it may or may not be the ones your server may use, however if that's the case I can learn the GIT/Guardian commands. I hope this helps to tell more about me, and hope to be helping around in the server in the future.